Management Contexts in Security Institutions. Sammelband von Bernard Wiśniewski, Gerald G. Sander, Paweł Kobes (eds. 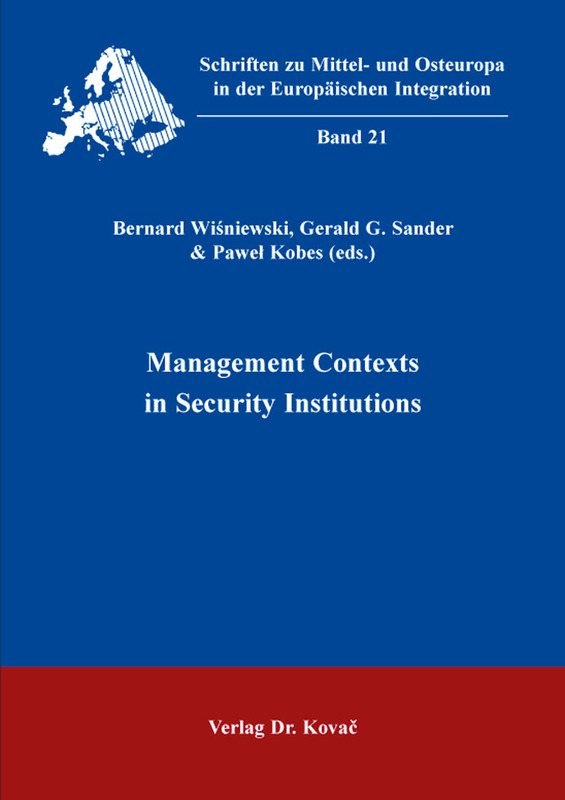 ), Verlag Dr. Kovač 2017, 226 S.
This publication is an attempt to depict major problems regarding management of institutions in charge of public security. The study takes into account aspects such as civil protection, safety of population in emergency situations and crisis management. Security-related research reaches strategic significance when it sets the course of actions, is future-related, expresses the needs and challenges and is accomplishable.